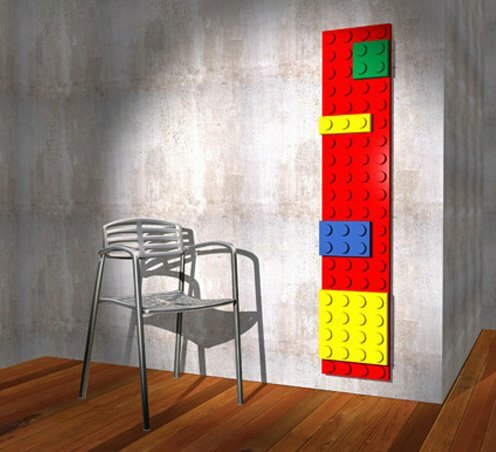 What could be cooler on the wall of your geeky apartment, than your very own Lego Radiator, a great way to keep yourself warm and give your apartment or house a geeky look. This fun radiator was designed by architect Marco Baxadonne, and is manufactured by Italian radiator manufacturer Scirocco. The ‘Brick’ radiator is made from aluminum with internal copper pipes, and apparently the Lego design is one of the most efficient for delivering heat. There is no word on pricing or availability as yet, but I doubt it would be cheap, I would love to replace the radiators in my house with these, but I doubt my other half would agree.